Many of us have great expectations on how fireplace should be designed and placed in our house. There are installation clearance requirements, venting needs and other factors that need to be included in the consideration. Fireplace could have entertainment and functional purposes. It could also become an additional heating system, other than the standard heating method. Others use fireplace only as a decorative purpose to enhance their décor. In this case, we should know how the fireplace should be designed and built. Elderly may not have the strength and vigor to constantly cut and tote firewood into the fireplace. However, some people enjoy the activity of cutting, splitting, stacking and burning firewood as part of their daily physical activities. Having a fireplace would mean specific consequences. We would need to sweep the chimney and perform various maintenance tasks. It would be a good idea to choose a higher end model that could last for years, because replacing a fireplace would be a time consuming and expensive undertaking. The primary fuel of fireplace is wood and it means that we need to deal with ash and smoke. The chimney system should be simple and run vertically straight. There are different designs of fireplace and chimney, depending on home design and roof pitch. It is important that the wood-fuelled fireplace is energy-efficient with tight seals for extended burn time. Fireplace could also be fuelled with gas and it could provide a more conveniently manageable flame. Many gas-fuelled fireplace have remote controls. We may also use thermostats to control the intensity of the flame. It means that the fire can be controlled based on the temperature of our room. There are different designs, sizes and styles of gas fireplace. Decorative models usually produce less heat, while higher end models could be nearly as hot as furnace. Every model can be quite different, so it is important to check the requirements of installation. This will make sure that the fireplace can be implemented efficiently and safely based on our requirements and situations of our house. When using gas fireplace, we should make sure that HVAC technician has properly installed and evaluated the gas lines. A relatively safer option than the previous two is electric fireplace. Because electricity can be easily converted to heat, we could literally get 100 percent heat efficiency. There’s no smoke, ash or fume produced, so venting isn’t needed. Electric fireplace is appropriate in high-rise condos like the condos for sale in dallas or luxury houses with modern interior designs. An electric fireplace could produce enough heat to warm the whole room. 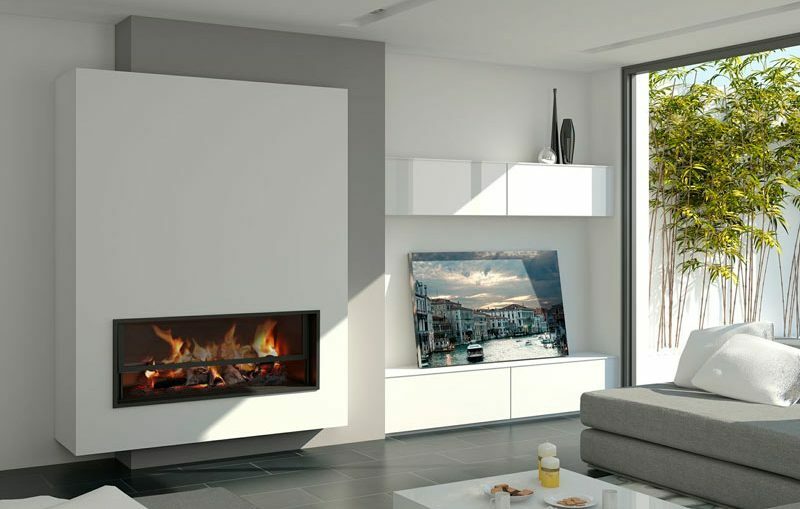 Minimal installation requirements are needed and we would only need to plug the fireplace into standard wall socket. If homeowners desire more authentic representation, the electric fireplace could be designed like standard wood-fired fireplace.